Sleeving Kits - it is important to create that impression from the floor up! 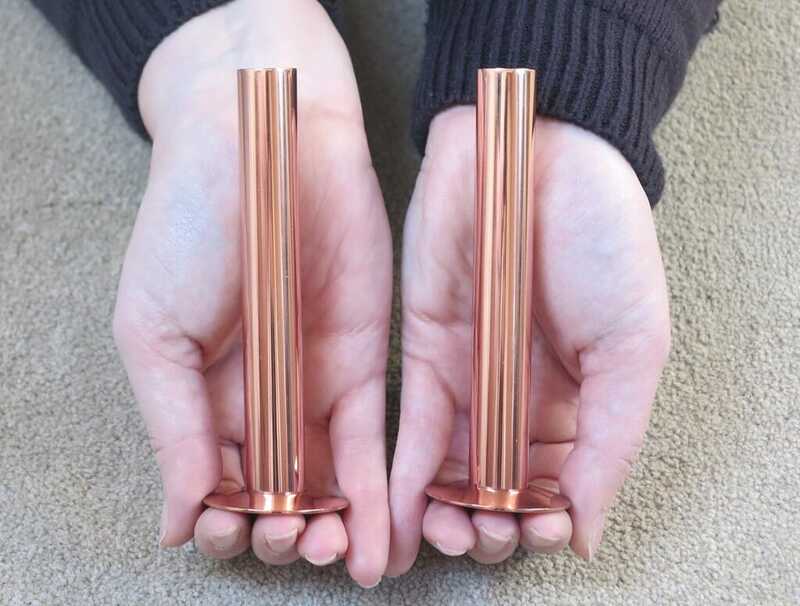 2 x Polished Copper sleeve tubes, 18mm (outside diameter) x 5" (130mm) Long. 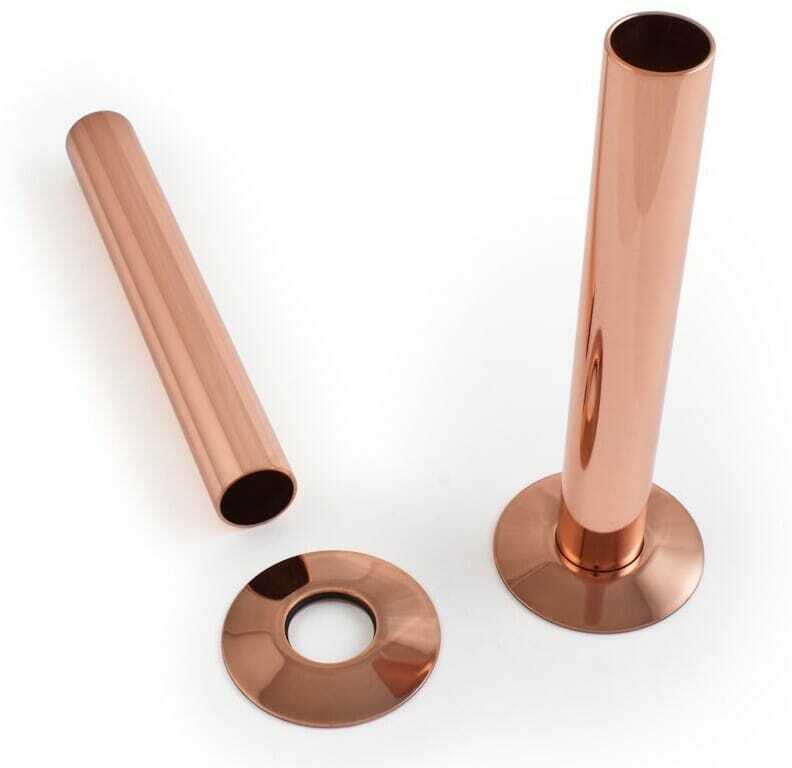 2 x Polished Copper floor plates, 44mm (outside diameter). 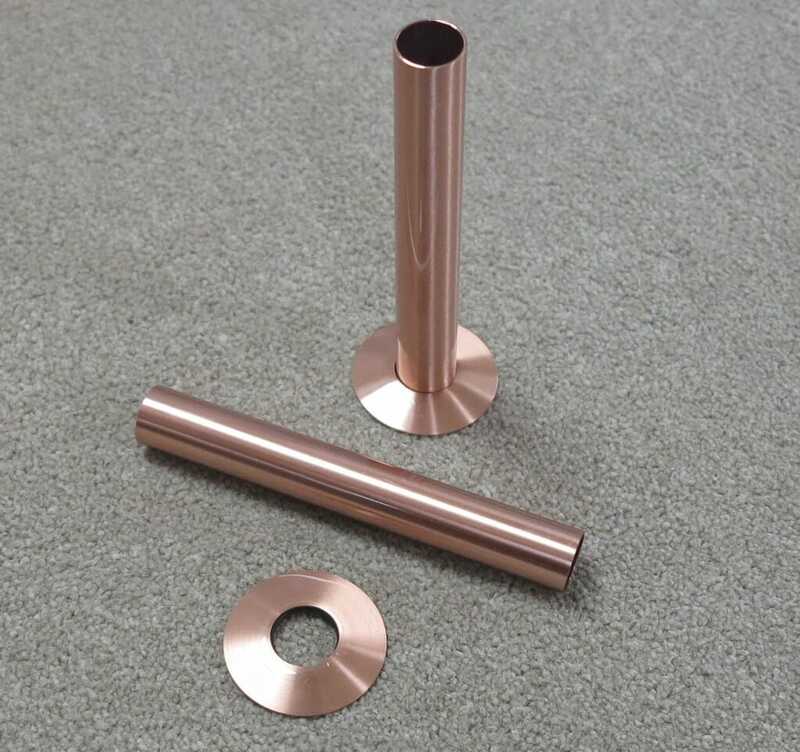 The sleeves fit over your existing inlet and outlet radiator pipes and are for decoration only - see the images. 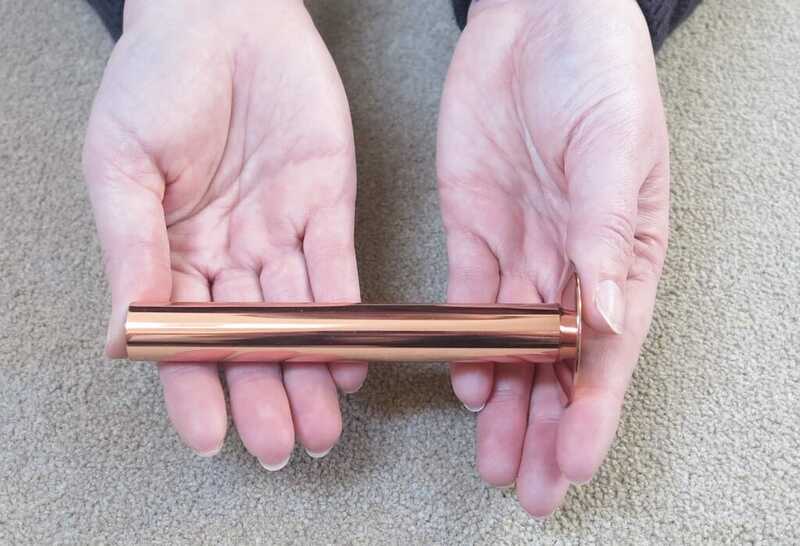 These sleeve kits are made of metal - No plastic here!! We can deliver this item insured and tracked within mainland UK for £6.50. 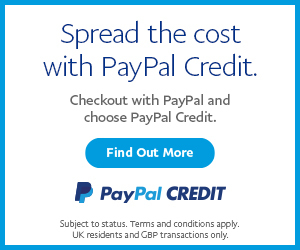 However if you purchase a radiator from us the delivery of this item is FREE.